Art critic Barry Schwabsky’s new book presents a global survey of contemporary landscape painting. 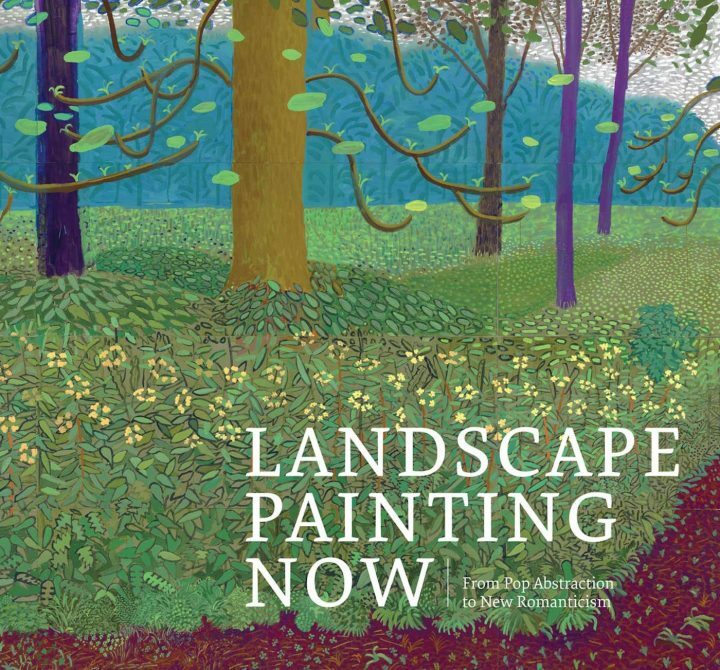 Art critic Barry Schwabsky’s new book, Landscape Painting Now: From Pop Abstraction to New Romanticism (DAP), delivers a global and multi-generational perspective on what may be the most malleable of painting genres. Along with editor Todd Bradway and historians Robert R. Shane, Louise Sorensen, and Susan A. 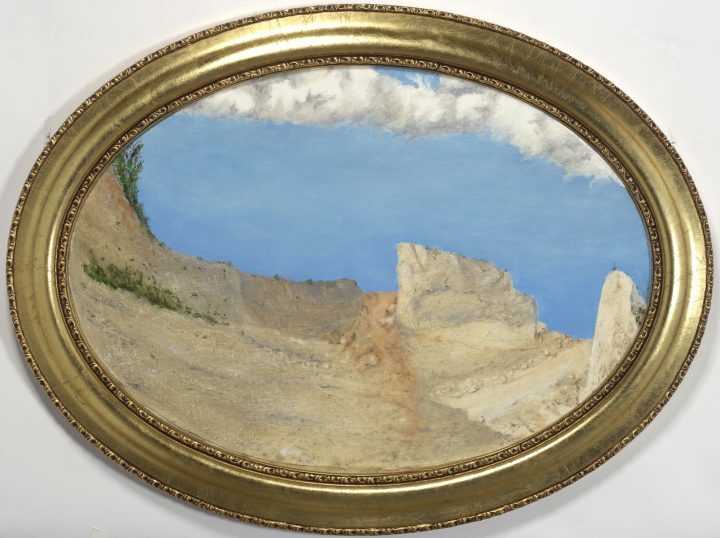 Van Scoy, Schwabsky sets out to update readers on what artists have been doing with the pliable clay of landscape painting since 1950. With a specific focus on paintings completed since 2000, a view unfolds of a genre that earned only sporadic attention from critics while its practitioners were busy expanding, redefining, and generally complicating the form. Three-hundred and sixty-eight pages beckon a leisurely read, spreading generous reproductions across six interpretive categories, each meant to expand on notions, suggested — unsurprisingly for a commentary on a wanderer’s art form — in a rambling introductory essay, the gist of which is that abstraction’s mid-century zenith marked, as Robert Rosenblum noted at the time, a revealing link between Abstract Expressionist painters like Mark Rothko and Clyfford Still and 19th century Romantics. This was to prove a link that only painters noticed. By 1965, and for several decades afterward, conceptual, performance, installation and earth art dominated art criticism, while painters working outside recognized movements like Pop, Minimalism, New Image, Bad Painting (yes, that was once a thing), Neo-Geo, and Neo-Expressionism, were finding ways, as Schwabsky puts it, “to grapple with transformations both in the art of painting and in the conditions of life from which that art could emerge.” In short, abstraction and spontaneity remained fundamental to painting, even for landscape painters, which explains the wide variety in the book’s roster of artists. In attending to the sensibilities of art lovers who hold, as Schwabsky puts it, “a clichéd and outdated notion of what landscape painting is and isn’t”, his introductory essay follows a slender thread of historical indicators expanded upon in the book’s groupings of artists into six categories, each explored in its own chapter. Though debatable, the categories bring an exuberance to the revelatory chaos the subject predictably generates. Each of the six groupings includes a dozen artists or more. The choice of who occupies each category is sometimes obvious, other times eccentric. As the author notes, there are quite a few artists that could occupy categories other than the one they were assigned. To allay the fear many potential readers may entertain that the whole enterprise is a cynical touting of hot young things, I can report that the average age of the artists chosen for inclusion calculates to 60. 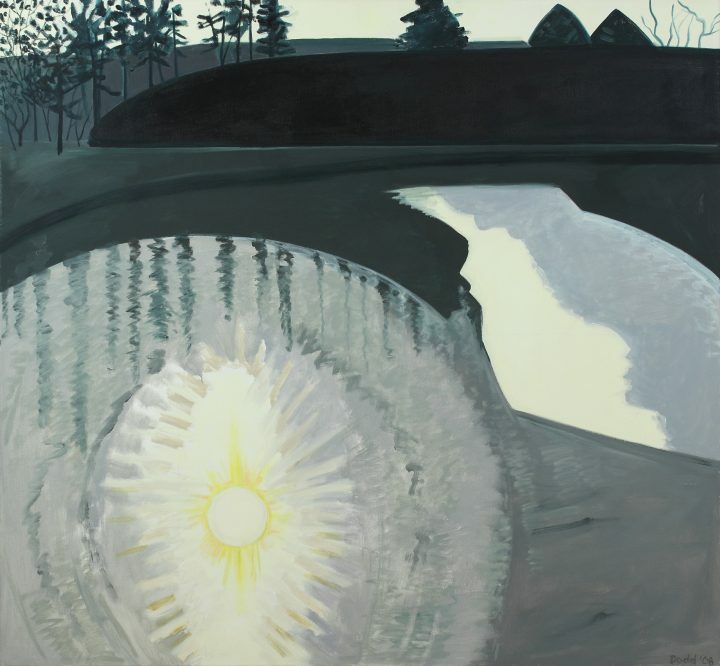 Of the 82 painters included, Alex Katz and Lois Dodd are the oldest at 92, Matthew Wong the youngest at 35, a range indicating an admirable determination to peel back overlapping generational influences, while limiting the selected work, as the title word “now” suggests, to canvases completed in the new century. The first two categories are conventional. “Realism and Beyond” includes Lois Dodd, Rackstraw Downes, and April Gornik, among others. 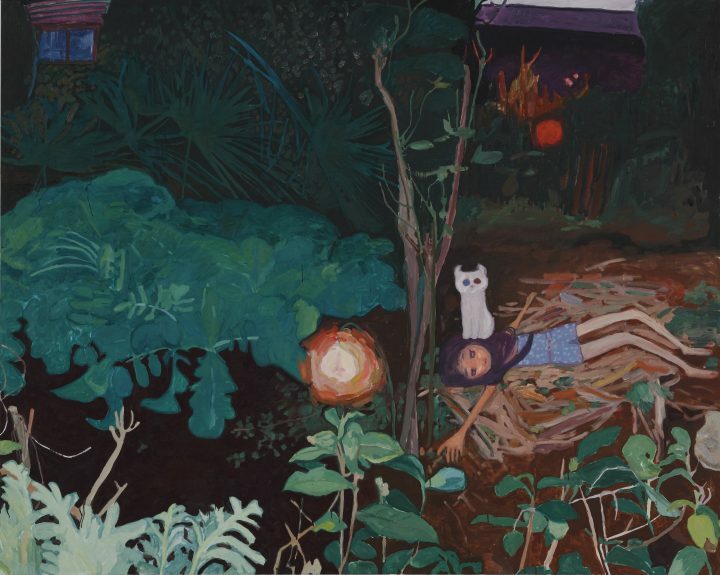 “Post-Pop Landscapes” relies on the color intensity favored by David Hockney, Yvonne Jacquette, and Matthew Wong. 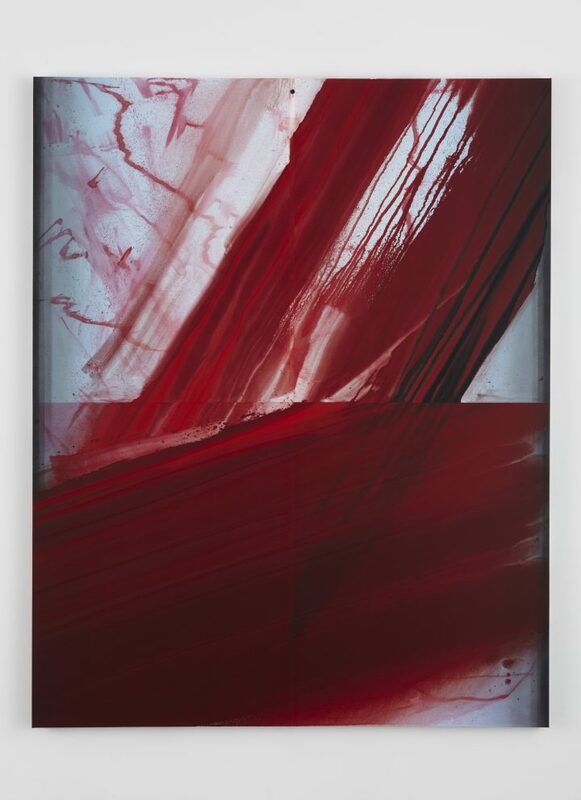 The third, “New Romanticism,” concentrates on painting rooted in history, folk tradition and other subtexts, the signature artist being Anselm Kiefer. Of the remaining categories: “Constructed Realities,” with Inka Essenhigh, Mark Tansey and Vincent Desiderio, offers the greatest variety of style and sensibility, while “Abstracted Topographies,” with Julie Mehretu, Cecily Brown, and Ali Banisadr, emphasize the book’s thesis regarding abstraction. The sixth, “Complicated Vistas,” is not only the least descriptive of the category titles, it is the most clearly aligned with current trends. Addressing political issues like pollution, factional distress and nature’s presence in urban environments, it echoes themes that may be found in the Realism group if one looks closely. There is, for instance, a subtle environmental aspect in the work of Rackstraw Downes that goes largely unnoticed. Conversely, Liu Xiaodong, Noa Charuvi, and Li Dafang could have easily been placed in the Realism group. Their interchangeability hints at the genre’s enduring breadth of perspective. Truer words were never spoken concerning contemporary visual art in general. Regarding landscape painting specifically, they introduce the book’s roughest edge and consequently its most useful aspect. Readers will be left with the question: can landscape painting retain its distinction as a genre, or is it doomed to drift toward Jackson Pollock’s “I am nature” paean to solipsism? For those invested in such inquiry, I suggest post-it markers placed at the pages where they feel the author’s inclusiveness led him adrift. For that participatory exercise alone, above and beyond the volume’s intelligence and visual sumptuousness, I believe Landscape Painting Now could play a significant role in our conversations about contemporary painting and its meaning. Landscape Painting Now: From Pop Abstraction to New Romanticism by Barry Schwabsky is available from Amazon and other online booksellers. Editors note 3/25: An original version of this review identified Alex Katz as 85 years old and Matthew Wong as 30. Katz is 92, and Wong is 35.